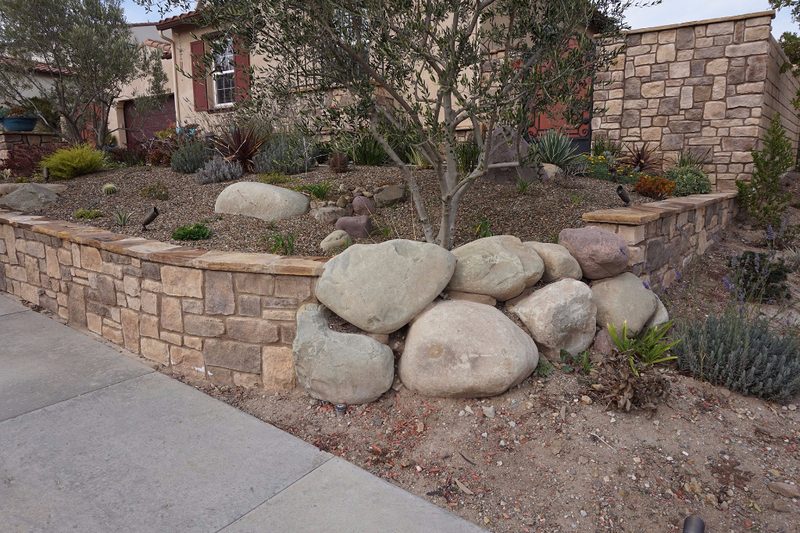 The Dos Vientos Villa is a prime example of CPF Masonry's capabilities for an exterior residential remodel. 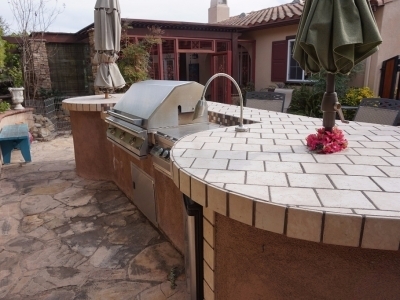 This job primarily focused on 3 areas: the front yard, patio, and the outdoor kitchen/BBQ. The initial design is centered around the unique look of the stamped concrete driveway. The villa is then framed by the custom stone retaining walls punctuated by smooth boulders. The stone pillars draw the eye up to the custom stone, full size walls surrounding the gate. 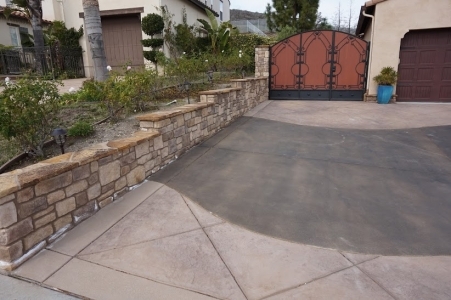 Stamped concrete and stone accents pour out into the sidewalk to truly utilize the available space. 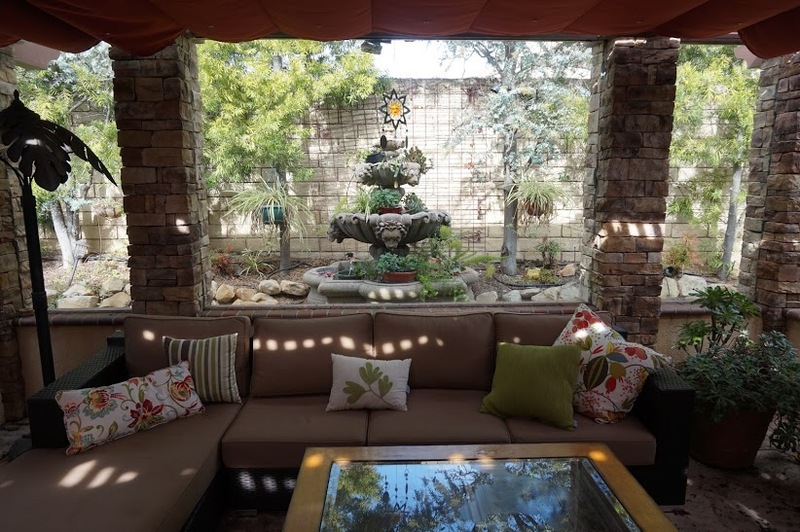 The client wanted to combine their love for entertaining with the outdoors. 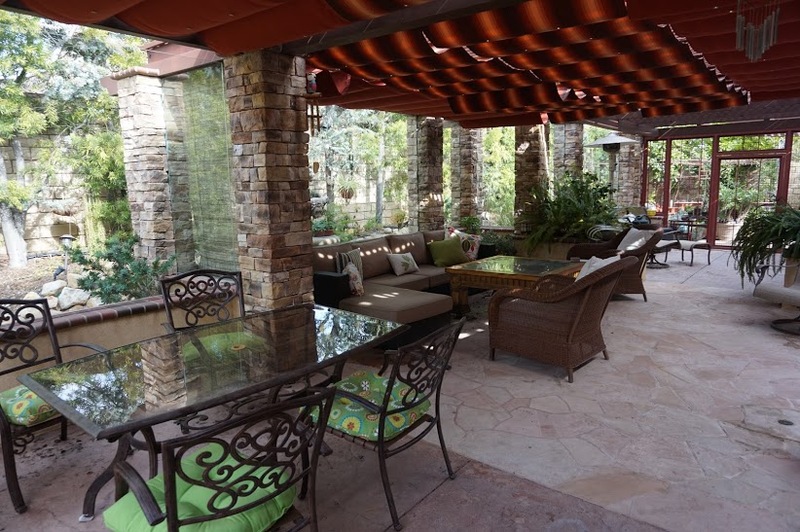 The patio design allows the client to host in an intimate setting in any climate. 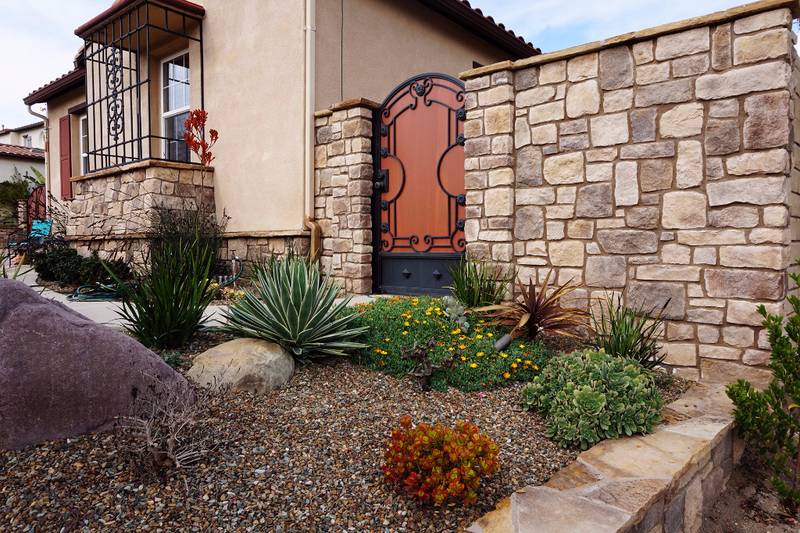 Custom stone walkways set the tone for the design. 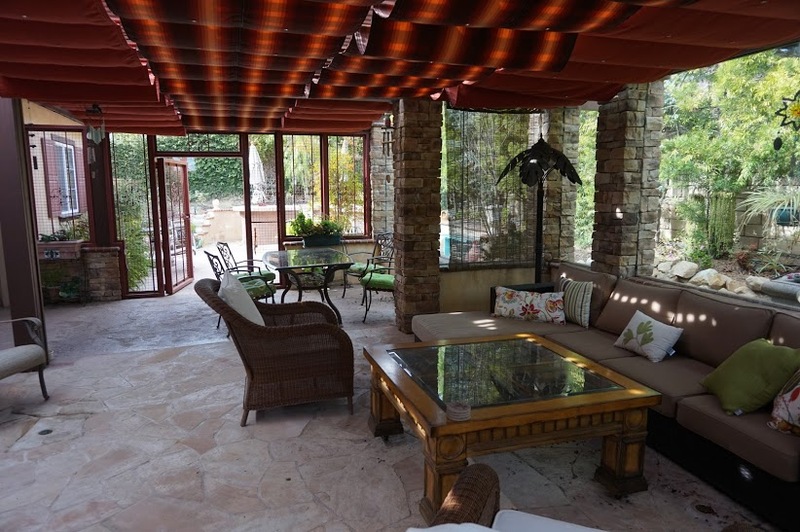 The patio is enclosed by custom stone pillars and glass wall enclosure, supporting the retractable awning. This set up affords the option to experience the lovely California sun while blocking any potential wind. Any hosts dream! 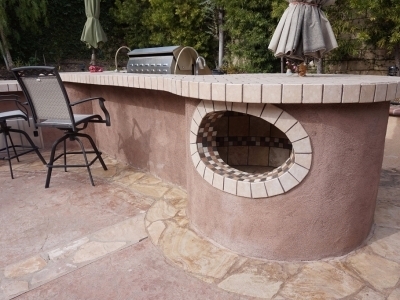 The custom BBQ kitchen features tiled counter tops and trim details. 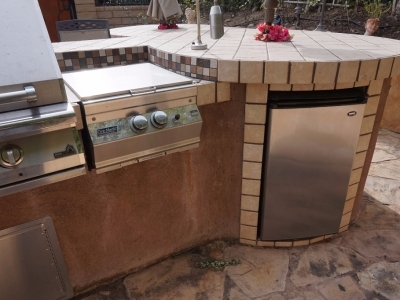 The custom details include the integrated ice chest/drink cooler, built in refrigerated storage, sinks, propane barbecue and stove top. All this built upon a CPF Masonry designed stone patio. 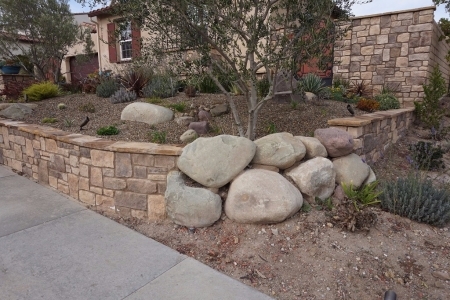 This CPF Masonry remodel gave the home its own identity in the neighborhood. The attention to detail in the design took a solid house and made it an extraordinary home.